A respected tradition, a little boyâ€™s desperate plea, and the high price of sacrifice. Called out after dark by a panicked villager, the elder Larela walks through the cold to find a boy clinging to a sapling. Since the beginning, residents of Teris were allowed to plant a tree as a symbol of establishing roots here. Children looked forward to turning ten, as that was when they were allowed to pick a tree root and plant it, watching it grow to full maturity by the end of three days. Today it was Keldonâ€™s turn, but something went wrong. Keldonâ€™s tree sprouted from the soil with a dark trunk. Fearful of bad luck, the tradition dictated that any tree that possessed anything other than a light colored trunk would be destroyed. As the villagers threatened to take the boy away from his tree, and tear it from the ground, Larela steps in. She magically protects the tree vowing to discuss it in the morning and sends everyone home. In deciding what to do, the elder discovers an insidious belief that started when the village was founded and how it was continuing to spread. One manâ€™s ideal had torn apart families and friends and no one seemed to notice. 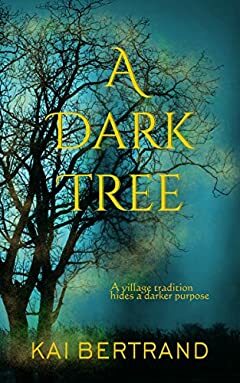 Larela must find a way to uncover the truth if is she to find a way to save the tree and her village.